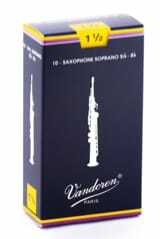 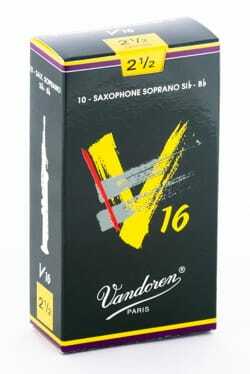 V16 reeds have a thicker end and a longer paddle than traditional reeds. A brighter sound, more percussive, particularly well suited to all new styles of music. The V16 reeds have a medium-thick core (between the JAVA reed and the traditional reed), with a design designed to produce a percussive attack, with a rich and deep sound. .